Tips: How to delete surface&#39;s hole? Normally how you remove it? 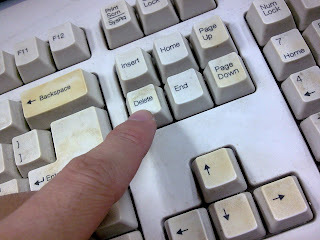 The tips I would like to share is to delete it with the 'delete' button on your keyboard. All you need to do is just select the hole profile, hit the delete button. Notice a window appear? Just say ok to accept it. Select other hole to be delete and there you go, a smooth surface without any hole or opening. You will notice the history appear in your feature's manager tree.